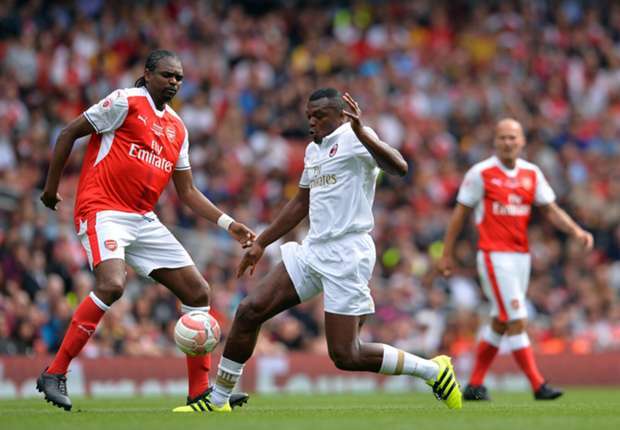 Nwankwo Kanu scored 3 goals as Arsenal old boys beat AC Milan old boys in a charity exhibition match. Kanu opened the scoring for the Arsenal Legends in the 27th minute but Vieri equalised for the AC Milan Legends six minutes to the end of the first half. 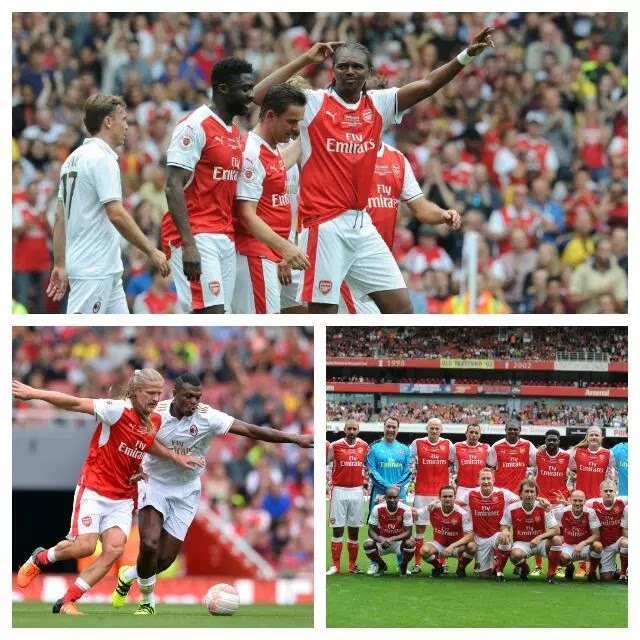 Kanu scored his 2nd in the 72nd minute to give Arsenal a 2-1 lead. In the 81st minute, Kanu completed his hat-trick from the penalty spot to give Arsenal a 3-1 lead. With four minutes left, Pires got on the score sheet to make it 4-1. And in the 89th minute, Vieri halved the deficit to end the game 4-2. Sheffield Wednesday in September 1998.
mission to build pitches for children in London, Jordan and Somalia.